Earlier this year we traveled to Hong Kong to sit down with Sonalie Figueiras, aka “The Green Queen”. 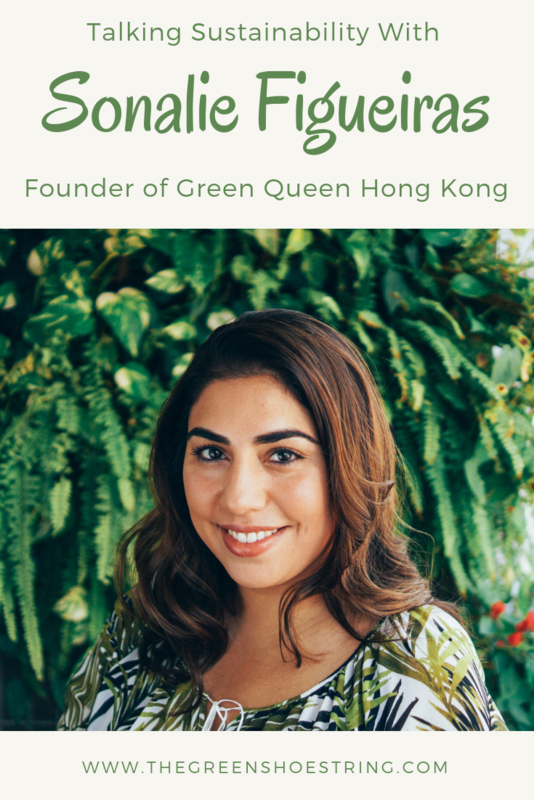 She’s the founder of Green Queen Hong Kong-one of the premier eco-wellness websites in Asia. Sonalie is a thought leader on zero-waste, sustainable living, and wellness in the Hong Kong community. She’s committed her life to learning about these issues and sharing her knowledge with others. We talked for over an hour and our conversation touched on such topics as recycling, zero-waste products, and what responsibilities we have as travelers to be more sustainable. We condensed the interview down to our favorite moments, but there’s so much awesome stuff we had to cut out. If you’re interested in seeing the full interview, you can find it on our YouTube Channel. Continue reading below to see the biggest takeaways from our conversation with one of the leading eco-wellness figures in Asia. What is Green Queen Hong Kong? 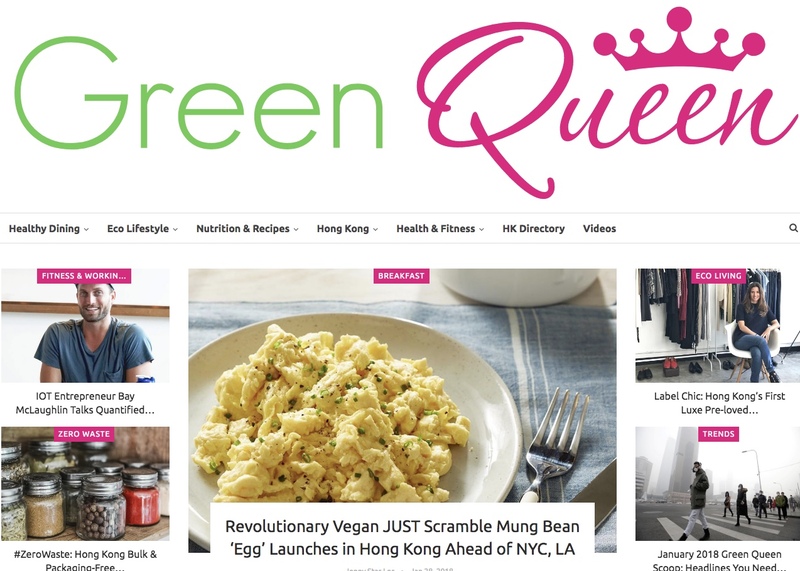 For those who don’t know, Green Queen Hong Kong is a website, blog, and media platform dedicated to sustainable and healthy living. Sonalie started Green Queen HK as her personal blog and it’s since evolved into a major media platform. With over 3 million monthly searches on Google; Green Queen HK is one of, if not THE leading source of information on eco-wellness in Asia. The site features articles on such topics as zero waste living, vegan recipes, and fitness. Along with great articles, readers can find guides on where to shop and eat in Hong Kong. Green Queen HK is also a media platform, helping sustainable businesses and brands gain a foothold in Hong Kong. Their platform announced the launch of companies such as Happy Cow vegan ice cream and Live Zero: Hong Kong’s first zero-waste store. The amount of information available on Green Queen HK is truly astounding. The website is a library of knowledge on all-things sustainability. We find vegan recipes, sustainability news, and ideas for how to eliminate waste from our daily lives on the site. If you’re planning a trip to Hong Kong, we highly recommend you take a look at their HK Directory. You can find awesome vegetarian/vegan restaurants and environmentally friendly activities (like visiting a local organic farm). 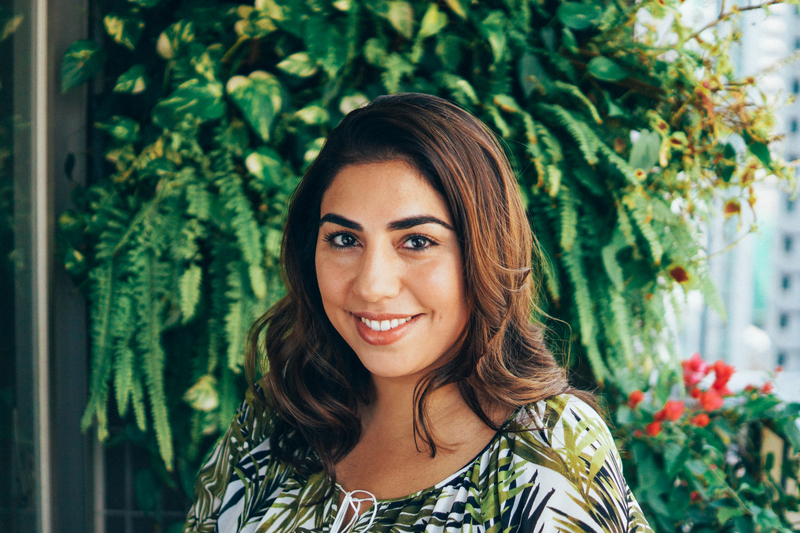 Sonalie believes that one of the biggest changes people can make to live sustainably is to cook more at home. When you cook at home you have more control over what you eat, where it comes from and how it’s packaged. Buying in bulk, choosing organic fruits and vegetables and supporting local farmers has a ripple effect throughout the supply chain. Even if you don’t have access to a farmer’s market or can’t afford organic produce; you can bring your own bags and avoid plastic packaging. Sadly, our local market was recently demolished to make room for a high-rise apartment. Even without a farmer’s market, we still use our reusable shopping bags at the grocery store. Food delivery services have become immensely popular in China, Hong Kong, and elsewhere around the world. We see this first hand in Fuzhou, where drivers for delivery services like Meituan are as ubiquitous to city streets as traffic lights. These food delivery services are a plastic packaging NIGHTMARE. Meals come in plastic to-go containers, wrapped in a plastic bag, wrapped in another plastic bag, with some plastic utensils and straws thrown in as well. Little of that plastic is recyclable, and the vast majority ends up in a landfill. Another easy change that Sonalie recommends is to install a water filter and buy a Soda Stream. Sonalie uses hers to make iced tea and sparkling juice. She makes all her drinks at home and never has to buy a bottled drink. When having a conversation with someone about making sustainable lifestyle choices, connect it to their personal health. Sonalie finds this more effective than using the altruistic “be a planet-saver” argument. Imagine this: if someone were to say to you “If you don’t stop driving your fossil fuel powered car, the planet could warm by 2 degrees Celsius before 2050.” Or “If you don’t stop driving your fossil fuel powered car, the risk of your child developing asthma could increase by 28%.” Which of these arguments would be more likely to make you switch to more sustainable forms of transportation? Connecting sustainability to people’s personal health helps makes the issue feel more tangible. Things like global warming and plastic pollution are massive, global issues. It can be hard to connect them to our daily lives because the negative effects happen gradually over time. In Sonalie’s experience, people are far more willing to act when you can tie in the health of the planet with people’s individual wellbeing. We asked Sonalie what some of her favorite zero-waste products were for 2018. She said for her, 2018 is all about making sustainable swaps in the bathroom. There is SO much packaging involved in our daily bath and beauty routines. Shampoo, face wash, deodorant, toothpaste, makeup, and even floss is either made of plastic or comes in plastic packaging. And all that plastic in your daily routine really adds up. Resource.co states that 23,000 tons of waste end up in US landfills every year from toothbrushes alone! 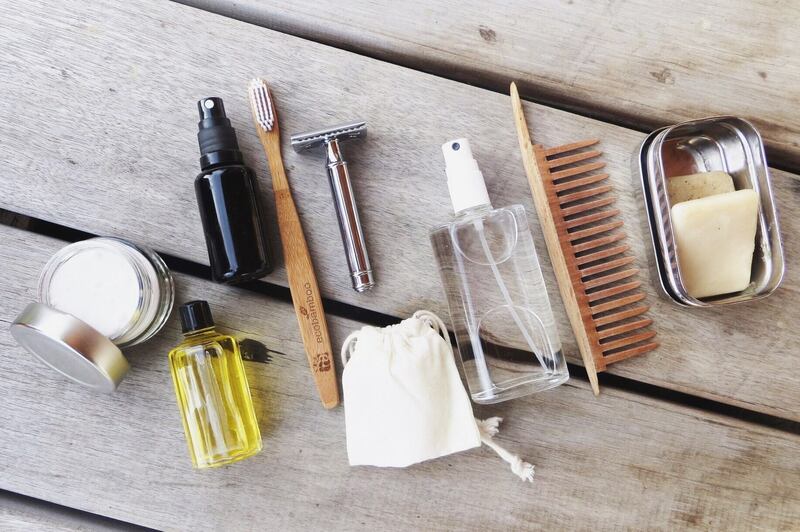 Thankfully, there is a bounty of zero waste, refillable, and compostable products available for you to ‘green’ your bathroom routine. This year Sonalie has been big on using shampoo and conditioner bars to cut down on waste in the shower. We’ve been using these as well and love them so far! We’re still trying out different shampoo bars to find the perfect one, but we have a conditioner bar that leaves our hair silky smooth just like conventional conditioner. If shower bars aren’t for you (some people like them some don’t), there is an awesome company called Plaine Products. They ship liquid shampoo and conditioner in reusable metal bottles. When the bottle is empty you can send it back to them to wash and use again! If you’re a woman, Sonalie recommends switching out tampons for a menstrual cup. A menstrual cup cuts down on packaging and protects you from harmful toxic shocks that can come from using tampons. With each passing year, the plastic pollution problem increases in severity. As badly as we may want it to be, recycling is not the ultimate solution to this crisis. Even in developed countries with large-scale municipal recycling services, recyclable plastic still finds its way into our landfills. A big challenge to recycling is when material becomes “contaminated” with nonrecyclable waste. 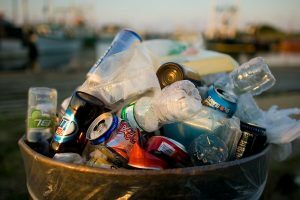 Contamination happens when people “wishfully” recycle something that isn’t accepted where they live. Many people seem to think there’s a magic machine that will separate everything down the line. In reality, the sorting is often done by hand. If a haul is too contaminated with nonrecyclable waste, the whole lot gets sent to the landfill. Even if problems like contaminated recycling were addressed, there’s woefully inadequate infrastructure to process the volume of waste we produce. Just how lacking the infrastructure is around the world was brought to the forefront earlier this year. When China announced it would no longer import recyclable waste, it wreaked havoc on municipalities around the world. Our home country, the USA, was no exception. State and local governments have been scrambling to find alternative solutions. However, they’re often left with no choice but to collect people’s recyclables only to dump it in a landfill. Even the most developed nations are struggling. We can only imagine how ill-prepared other countries are to collect, sort, and process the ever-increasing amount of waste worldwide. Now, we don’t want you to get the wrong idea, Recycling is a good thing. Neither Sonalie or us are in any way trying to say that you should stop recycling. Recycling is an important component of a multi-faceted approach to our plastic problem, but it’s not the end-all-be-all solution. Recycling alone will not save us from the plastic abyss. Which is why Sonalie advocates a more proactive approach to our waste epidemic: consume less in the first place. Sonalie is a self-described minimalist and a big proponent of the original zero-waste philosophy; to reduce and reuse first and foremost, and then recycle. If we consume less and make more conscious consumption choices; we’ll create less waste that will eventually need to be recycled. This is something we wholeheartedly believe in; it’s one of the foundations of our sustainable travel philosophy. In everything we do; we consciously take steps to create less waste. We agree with Sonalie that recycling should be our last line of defense against the rising tide of plastic on our planet. 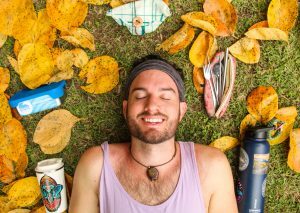 One of the best things you can do to become a more zero-waste traveler is to make sustainable swaps. Pack consciously and bring reusable versions of single-use items you would normally consume when you travel. Thankfully for all of us travelers, 2018 has been a year of zero-waste awareness. 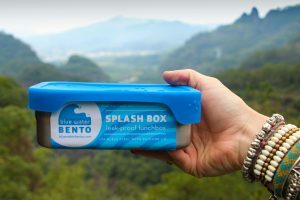 There are so many incredible products available to help reduce waste on your travels. We bring a handful of essentials with us everywhere, but Sonalie mentioned some cool new products that we hadn’t considered. A product one of her writers recently showed her that she absolutely loves is a collapsible cup. She loves the versatility of a product like this. You can expand it to hold your favorite drink, and when you’re done it collapses to the size of a coaster. The cup easily fits in your bag, saving space and weight. We loved this idea so much we ordered one of our own and can’t wait to try it out! Our cup is from the brand Stojo Cups, and you can find it on Now No Waste. One thing we always take with us is a food storage container, and Sonalie is all about this as well. She uses a lunchbox-type container when she travels and when she goes to the grocery store. You can use it to store bulk foods along with cheese and dips from the deli counter. It’s an effortless way to cut down on packaging at the store. The global landscape of travel has changed dramatically. 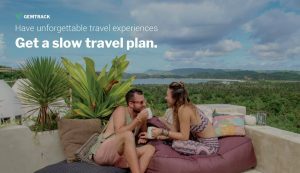 With millennials coming of age and a growing middle class in countries like China and Indonesia, more people are traveling than ever before. Hidden gems aren’t so hidden anymore, and a price is being paid. Sonalie highlights Bali as a prime example. Bali is portrayed as an idyllic paradise, but in the last decade, it’s become a plastic pollution pit. We’ve witnessed this firsthand and the reality is, Bali isn’t the only place being affected. Sonalie also mentions that with the emergence of yoga, and health and fitness, more people are staying at resorts; which tend to be the worst in terms of consuming energy and creating waste. 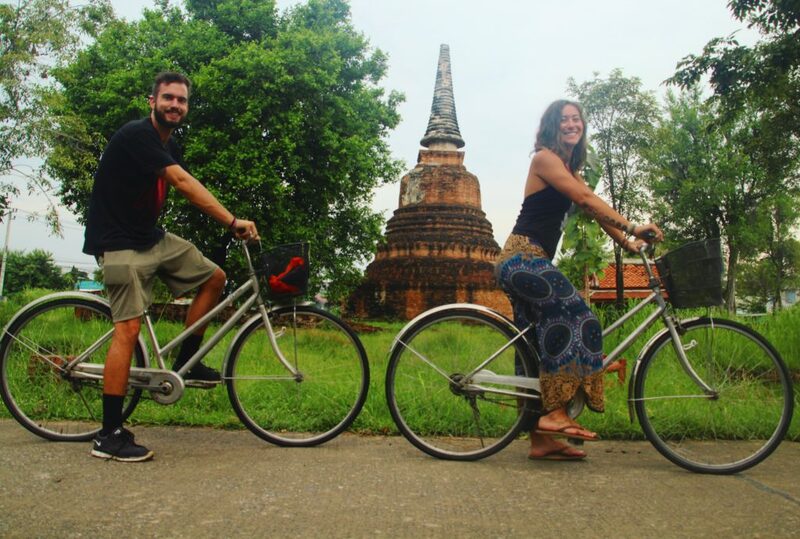 Sonalie points to all of these as reasons why travelers have an obligation to be eco-savvy. As travelers, we have the ability to shape the tourist landscape of the places we visit. She recommends doing three main things: vote with your dollar, ask questions and engage with the local community. 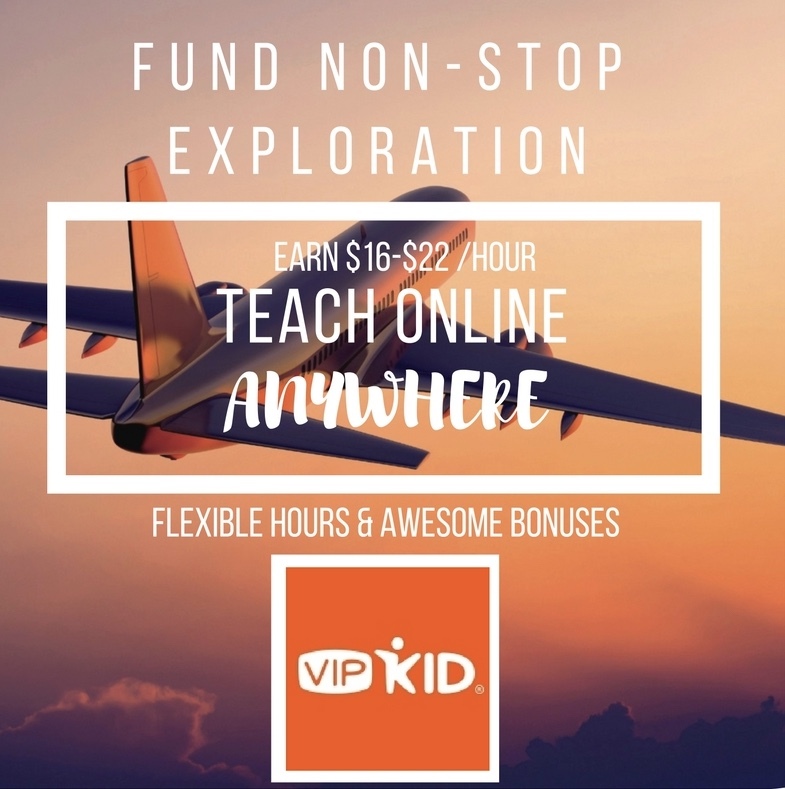 Every dollar you spend is a vote for what options you want to have as a traveler. When enough people choose to spend their money to support local businesses and sustainable companies, the market will shift to accommodate consumer demand. If you stay somewhere that isn’t taking steps to operate sustainably, ask them why. Ask “Why are using plastic straws?” or “Why don’t you have a place for me to fill up my water bottle?” Ask the questions and use it as an opportunity to voice your desire for more sustainable options. She also advocates that engaging with the local community is really important. The people who call these places home have the best knowledge of local issues and how you can help. Wherever you travel, strive to make a positive impact. Sonalie challenges all of us to be the “weirdo on the beach collecting ocean trash”. The worst thing that could happen is the beach looks a little cleaner. 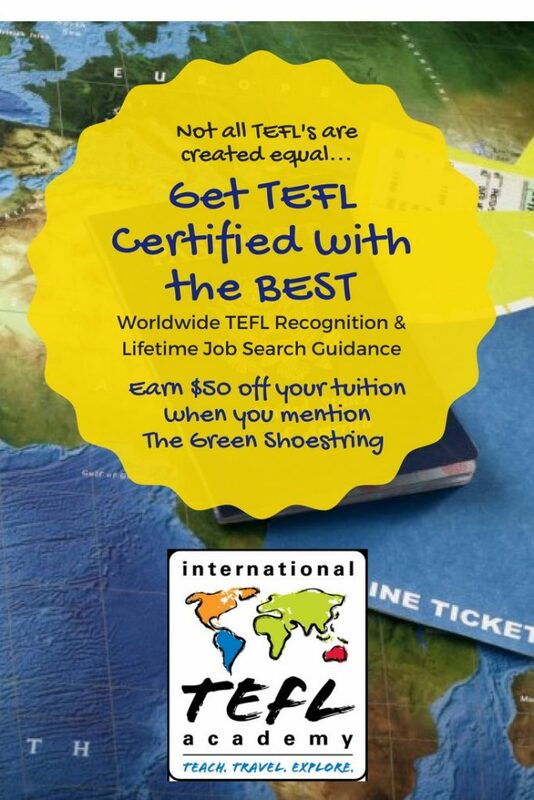 Who knows, it could lead to an awesome conversation with someone about the importance of being a sustainable traveler. Though it is the responsibility of all people to travel with sustainability in mind, it’s even more important for those already doing it to take a respectful approach in sharing that message. It’s not our place to show up in a foreign country and tell other people how to live their lives. 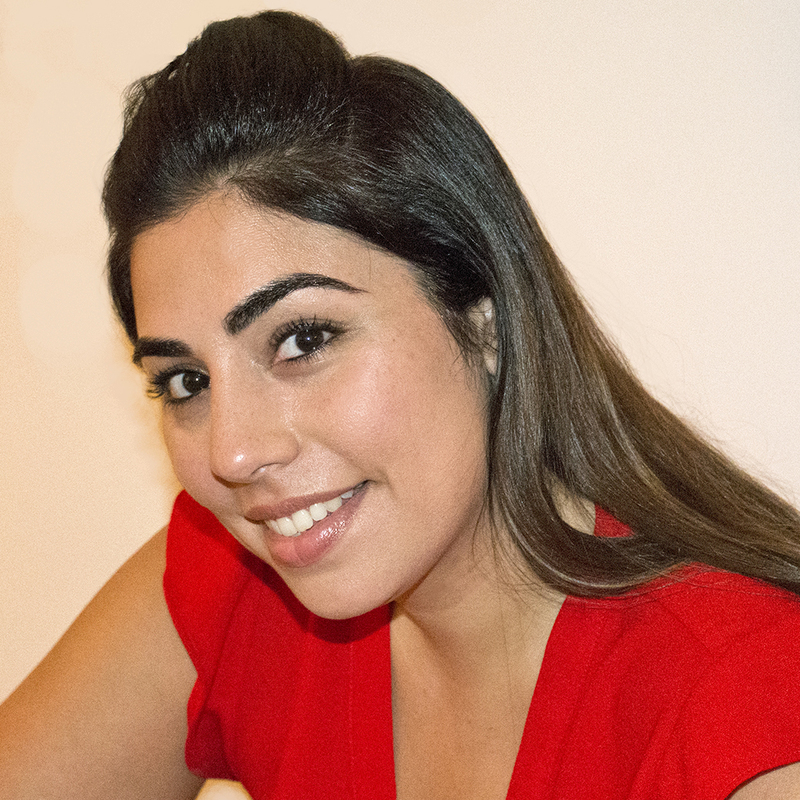 Sonalie encourages taking a friendly, lead-by-example approach to educating people about sustainability. When you’re out at a restaurant, take out your metal straw and tell them you don’t need a plastic straw; you already have this awesome reusable one. If you have a cool product like a bamboo cutlery set, take it out and show it around. Use it as a conversation starter. She also recommends learning some zero-waste phrases in the local language. During our time in China, we’ve learned to say things like “I don’t need a straw” and “No bag please” in Mandarin. In our experience, people appreciate it when you make the effort to learn a bit of the local language. If there is a cause you’re passionate about or a glaring issue you notice; connect with local non-profit organizations instead of trying to tackle it by yourself. Chances are if you’re noticing a problem there’s already an organization working to solve it. Nonprofits have the resources and connections within the local community to understand what’s going on and how to fix it. So, when you travel lead by example, ask questions, and start conversations, but don’t be a sustainability snob. Demanding that people make lifestyle changes simply isn’t an effective way to get the message across. Instead, opt for a more positive approach to encourage others to live and travel sustainably. We want to give a huge thanks once again to Sonalie for taking the time to chat with us. We learned so much from her and we hope you did as well! Also, be sure to check out Green Queen Hong Kong. There’s so much great stuff on the site with new articles posted all the time! Sonalie Figueiras is the founder and editor-in-chief of Green Queen, Hong Kong’s largest eco wellness media platform, advocating for social & environmental change using original, inspiring content and the founder and CEO of Ekowarehouse, the global sourcing platform for certified organic products created with a mission to make organic farming accessible & affordable for the whole planet. With over a decade of experience in publishing, SEO, digital marketing, organic trade and health journalism, she is a eco/wellness industry veteran with a keen eye for market trends and a regular on the speaking circuit, sharing her experience on stages across Asia and beyond. She recently launched a brand new podcast series about the Zero Waste Movement in Hong Kong. When she is not working, Sonalie is usually dreaming up new plant based recipes in the kitchen for her family.